Last week, Dominique at Midwest Guest (one of my favorite Midwestern travel blogs) offered me the opportunity to guest post. 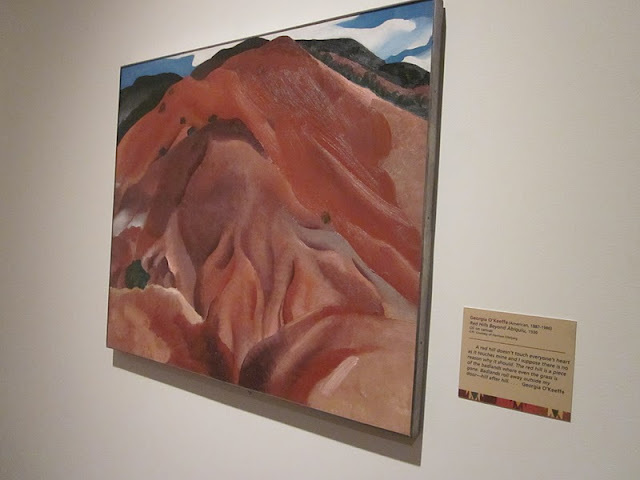 I wrote about my time at the Eiteljorg Museum in Indianapolis. 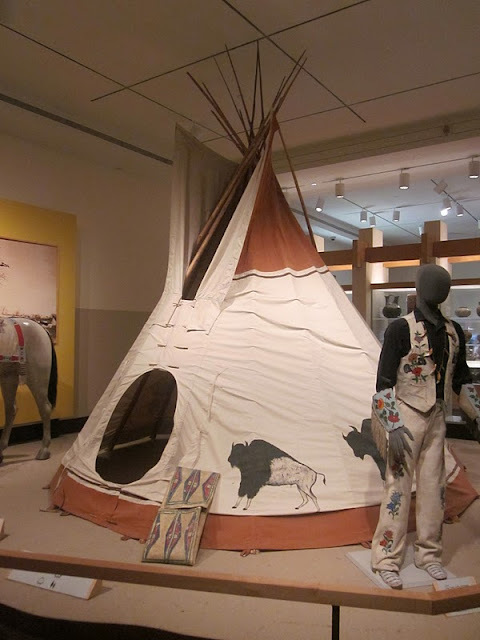 The Eiteljorg Museum, devoted to Western and Native American art, may seem a little misplaced situated in the center of the Hoosier state. But I loved the way it transported me to an entirely different region of the country. My post at Midwest Guest provides an overall synopsis of a visitor's experience. And while I would have never guessed it, the Eiteljorg is also very kid-friendly. I hope to take The Arrow to the museum's Western Family Experience and Jingle Rails exhibits in November before Baby Arrow comes. 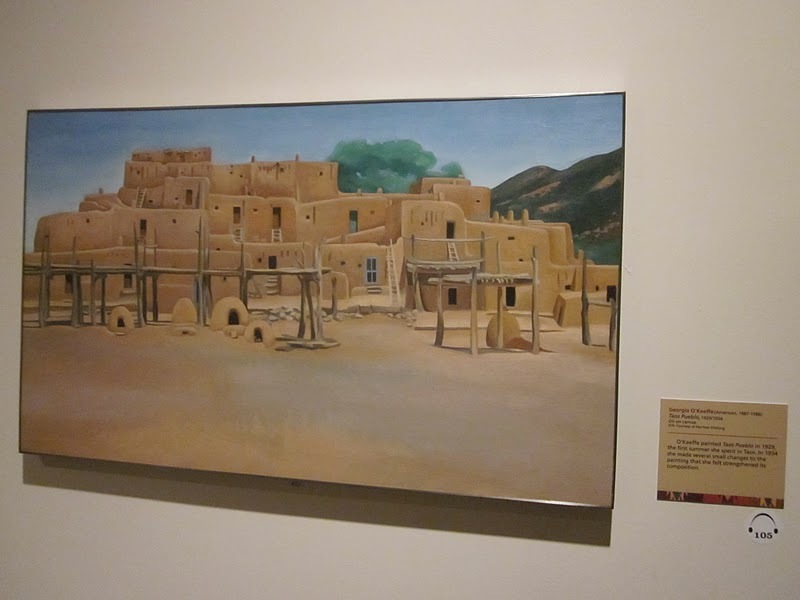 In fact, I love Georgia O'Keeffe's work so much that I really want to plan a trip to the Georgia O'Keeffe Museum in Sante Fe. What about a night camping in a tipi or wigwam? It may be quite some time before I make a trip like this out West. For now, at least the Eiteljorg and its spectacular collection of art can take me there in my imagination and introduce even more of our country's unique landscapes and cultures to The Arrow when he visits. Admission is $8 for adults, $5 for kids 5-17, under 4 are free. Insider Tip: You can park for free in the White River State Park garage just west of the museum. This post is a part of Mondays are for Dreaming at The Mother of All Trips. On Wednesday, I'll be posting about the great southwestern food you'll find at the Eiteljorg's Sky City Cafe. Like what you see? Then "like" Arrows Sent Forth on Facebook! 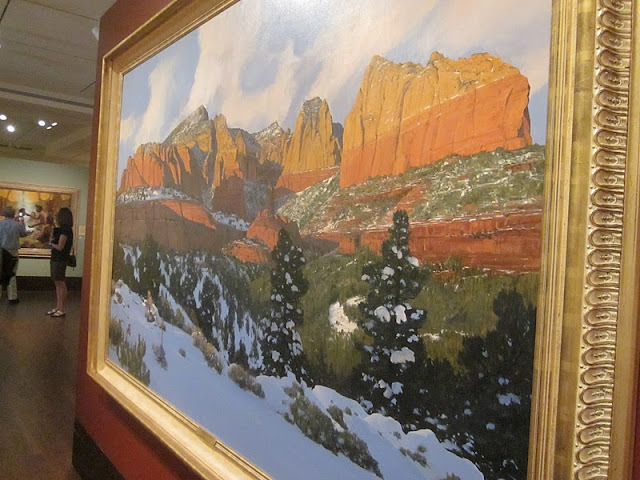 Disclosure: I was invited to tour the Eiteljorg Museum as part of a White River State Park press trip, which included my admission. I was under no obligation to write about my time at the museum, and all opinions expressed are my own.